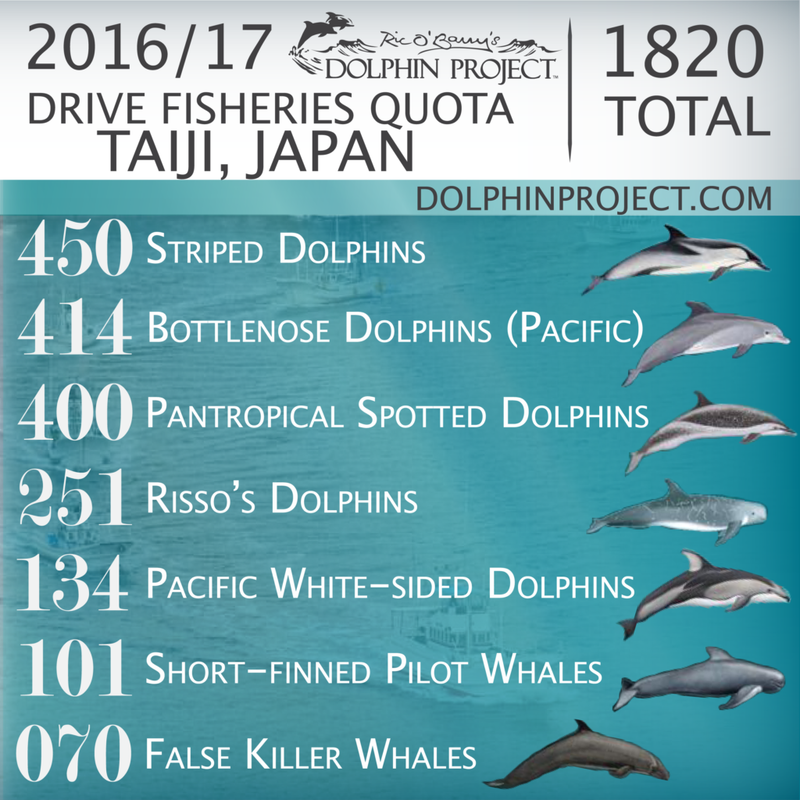 TAIJI – Officials have confirmed to Dolphin Project that on March 1, the 2016/17 drive season in Taiji, Japan ended. For nearly six months, dolphins have been chased, harassed, manhandled, injured, captured and slaughtered. Pods have been decimated; real traditions have been broken. All in the interest of the almighty dollar – of which, this season as in past years, has yielded outrageous profits.A total of 804 dolphins across six species were taken captive and/or slaughtered (see statistics below). With a trained dolphin worth as much as $155,000 USD, it’s easy to see how lucrative this trade is. What isn’t immediately obvious is the ongoing, heartbreaking cost to those captured. That’s why Dolphin Project has been on the ground in Taiji, at the infamous “cove” since 2003 – to bring this information to you via blogging, and in recent years, utilizing live streaming technology and the power of social media – so the public will stop supporting dolphin abuse. Please follow the link to read the entire press release. Please consider donating to the Dolphin Project!